The season has kicked off this weekend having 5 teams in the Belgian Hockey League, with the Men’s team winning their first match 9-1. Needless to say it is how we hope the whole season will be!! So, time that we share you all the exciting bits and pieces of the new season: more hockey, more people, more fun, more competitions, more trainings! 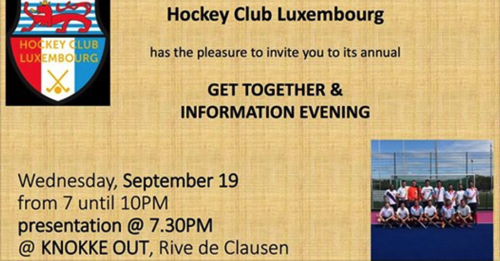 On Wednesday, September 19 from 7 until 10 PM we will organize our annual get together and information evening . I really hope that we can all have you with us that evening.